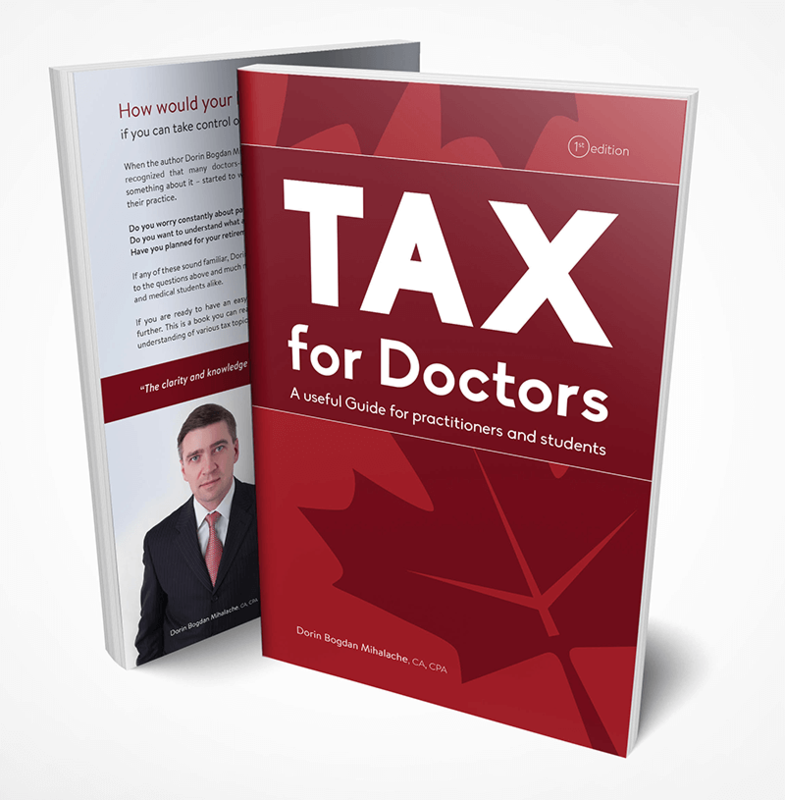 We were happy to help with the design and publication of "Tax for Doctors"
We were happy to help with the design and publication of "Tax for Doctors", written by our friend Dorin Mihalache. Tax for Doctors 1st Edition is a book that can be read in a few hours and give the readers a good understanding of various tax topics immediately. The author has endeavoured to eliminate many of the technical aspects of a taxation book and has discussed the topics in an easy to read format. The book is structured by starting with the incorporation benefits. Next, it provides an overview of the remuneration strategies and various tax registered plans. Life insurance and tax planning benefits are introduced to the readers. Most common deductions available to doctors and professional corporations are presented in detail. Next, it discusses several common real estate leasing pitfalls. The final chapter presents common tax credits and deductions for doctors and medical students. As the title suggests, the book offers additional resources to enable doctors to start and maintain a successful practice. Dorin Mihalache is a Chartered Professional Accountant (CPA)/Chartered Accountant (CA) with twenty-plus years' experience in public practice. He recognized that many doctors-clients are facing similar taxation problems so he decided to write a book to help doctors make the most out of their professional practice.